From rustic cabins to upscale hotels, it&apos;s a Maine experience. The hospitality in Aroostook County is second-to-none, as are the bountiful choices for lodging. 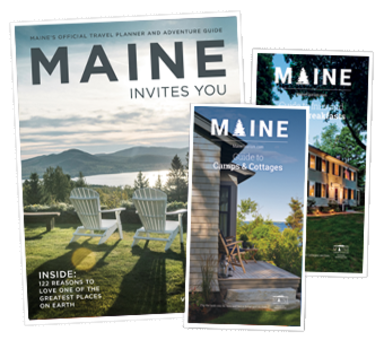 Whether you prefer a private getaway at one of the many designated campsites or the modern-day accommodations of an award-winning hotel, you’ll sleep well and feel refreshed to start or continue your Maine journey. Ever dreamed of owning a log cabin? In Oakfield, it’s your opportunity to rent a fully furnished log cabin set amongst the evergreens. Get a taste of rustic living while you enjoy direct access to countless trails, snowmobile venues, and a centralized location nestled within the area’s many attractions. Throughout the region there are also quaint country cottages waiting your arrival! Most are fully furnished, four-season, and available for weekly or monthly rentals. Can you imagine spending an entire month in one of the most beautiful places on earth? Look for these cabins near lakes and hillsides, found in towns like Portage Lake, Sinclair, and Madawaska. Sporting lodges are in endless supply given the area’s outdoor and recreational appeal. 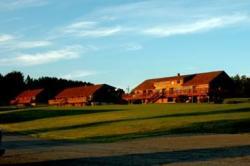 Full-service log camps, bunk style lofts, seaplane and guide services and great meals greet sportsmen/women alike. Whether in town on business or for personal reasons, the many choices in hotels, motels, inns, and bed and breakfast havens will surprise you. Find traditional stays with the chain hotels we all know as well as distinct locally owned inns and motels. The many inns and B&Bs include The Old Iron Inn in the heart of Caribou, featuring an incredible collection of antique pressing irons and decorated throughout with lovely antiques and local artwork. You’ll also find unique-to-the-area accommodations such as the Sewall House Yoga Retreat, including twice daily yoga, massage, sauna, and a variety of healthy meals.